Now you can play a game on Snapchat. 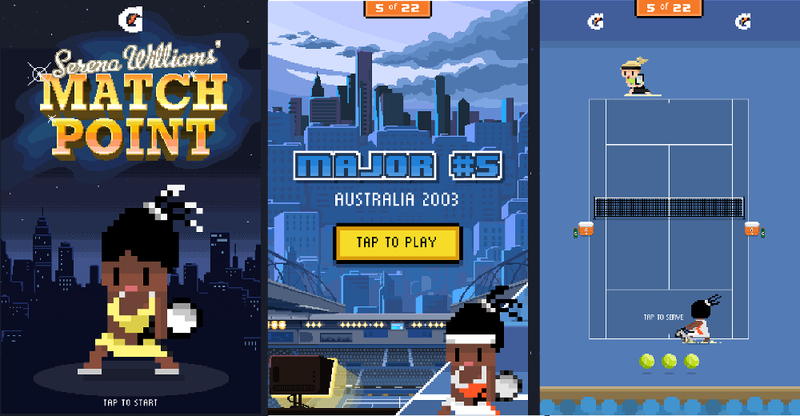 Find out how to play Snapchat’s 8-bit Serena Williams Match Point game, this game available for Android and iPhone. Snapchat seemed to start venturing into the world of sports. After creating a partnership with the NFL, Snapchat is now working with ESPN and Gatorade presents the first multi-level video game playable on the Snapchat platform. The game called Serena Williams Match Point. Serena Williams is Olympic gold medalist and six time U.S. Open champion. Well, to play tennis game as Serena Williams on Snapchat, all you have to do is go to the discover tab, then open ESPN’s Discover channel and scroll through a few news stories. The game is labeled as an advertisement when it’s show up. To start playing, simply swipe it up. The game features 22 levels, each level representing a Grand Slam final match that Williams won over the course of her career, all leading up to her next competition at the U.S. Open. don’t worry, the duration of the game is not as long as the real one, if you beat the opposite just in one shot, you will go to the next level. The control of this game is pretty simple, you just have to tap on the left side of the field when the ball go to the left, and tap on the right when the ball is go to the right side of the field. You don’t have to control the movement of Serena, how dare you do it to the Champion. The key is timing. the game will notify you if you’ve tapped “too early.” If you earn a “great” or “perfect” shot, you’ll hear Williams’ grunt as she hits the shot. If your phone is on charge right now, don’t worry, you can still play this game online. The web version is available on Gatorade’s website. Even tough the design is very simple, but it’s really fun. You can play colorful 8-bit Serena that looks cute with different outfit matches what she was actually wearing on every games. You can also take a screenshot of your winning and share it to other social media platform if you want. So that’s how you play Serena Williams Match Point game on Snapchat, what do you think about it?